Due to nature of Darth Vader's presence, there was no way for anyone to verify Vader's identity (talking about Force Presence, there was a thing called Force Stealth). Did Empire ever use Darth Vader duplicates to do its tasks? Mere Vader's presence could have made a job done thanks to his terror personality. In case Vader was not available, it could be useful. Or, did Rebels ever try that? Well, using Vader duplicates, big things could be accomplished like gathering intel etc. Unknown. Certainly none are seen on screen in any of the theatrical films, novelisations, TV Series or canon comics. It's theoretically possible (cloning and holographic technology are definitely a 'thing' and his outfit should be pretty easy to replicate) but there's no indication that the rebellion or the Empire ever tried it. Yes, kinda. 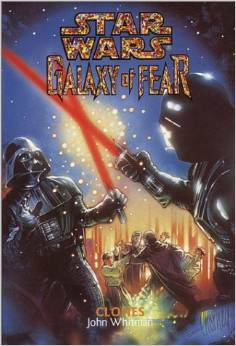 There was a Vader clone seen in "Galaxy of Fear : Clones", a young-reader novel. I won't spoil the plot but as you can see from the book cover, the real Vader doesn't take kindly to finding out. Did Vader intend to eventually bring Padme back to life? Can a Sith/Jedi use the force to physically keep someone alive?